Ryan Murphy’s Ratched continues to add to its already impressive cast. According to Deadline, Sharon Stone, Cynthia Nixon, Charlie Carver, Judy Davis, Harriet Harris, Hunter Parish, Amanda Plummer, and Corey Stoll. They will join Sarah Paulson, Finn Wittrock and Jon Jon Briones in the Netflix series. The series is a prequel to 1975’s One Flew Over the Cuckoo’s Nest, with Paulson playing a younger version of the villainous Nurse Ratched. The series will start in 1947, and chronicle her rise from lowly nurse to one of the most loathsome screen villains of all time. The series was created by recent film school graduate Evan Romansky, who wrote the script on spec. It was reportedly given to Murphy’s agent, who spent a year acquiring the rights and getting Douglas and the Saul Zaentz estate to jump on board. It reportedly spawned a bidding war between Netflix, Hulu and Apple before Netflix ended up securing the rights. Executive producing alongside Murphy and Douglas are Aleen Keshishian, Margaret Riley and Jacob Epstein from Lighthouse Management & Media and Romansky who will co-executive produce. Paulson will produce with Paul Zaentz from the Saul Zaentz Company. Fox 21 will be the studio for the show. The 1975 film One Flew Over the Cuckoo’s Nest won the Oscar for Best Picture and was based on Ken Kesey’s 1962 novel of the same name. Nurse Ratched was played in the movie by Louise Fletcher, who won an Oscar for Best Actress. The film also won awards for Best Director (Milos Forman), Best Actor (Jack Nicholson) and Best Adapted Screenplay (Lawrence Hauben and Bo Goldman). 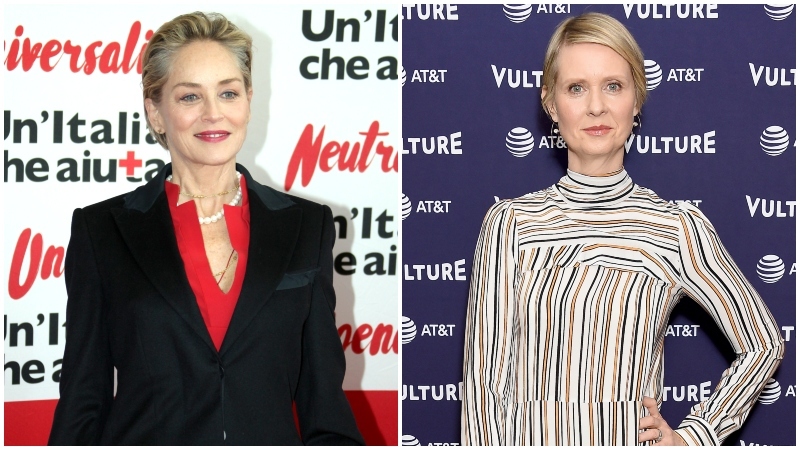 The post Sharon Stone and Cynthia Nixon Join Ryan Murphy’s Ratched appeared first on ComingSoon.net.